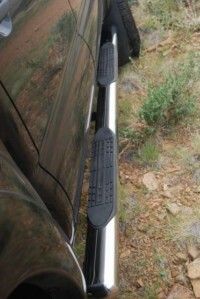 4" Oval Stainless Steel Stepbars to fit a 2002-2008 Dodge Ram Crew Cab. 4" Oval Stainless Steel Stepbars to fit a 2002-2008 Dodge Ram Quad Cab. 4" Oval Stainless Steel Stepbars to fit a 2002-2008 Dodge Ram Regular Cab. 4" Oval Stainless Steel Stepbars to fit a 2009-2014 Dodge Ram Crew Cab. 4" Oval Stainless Steel Stepbars to fit a 2009-2014 Dodge Ram Quad Cab.